It’s easy during the winter months to let your car’s maintenance go by the wayside. It’s cold and cruddy out, and no one wants to be out in the elements, checking fluid levels or their tire pressure. So once the weather starts to come around, it’s time to give your vehicle the TLC it needs. Follow these tips to put a little “spring” back in your car’s step … or drive. Wash it and wax it — We all know winter gets all kind of gunk on your vehicle, whether it’s mud, salt, or other chemicals that traffic departments put down on the road. Don’t allow that grime to build up though; it can hurt your paint and finish and even lead to rust. 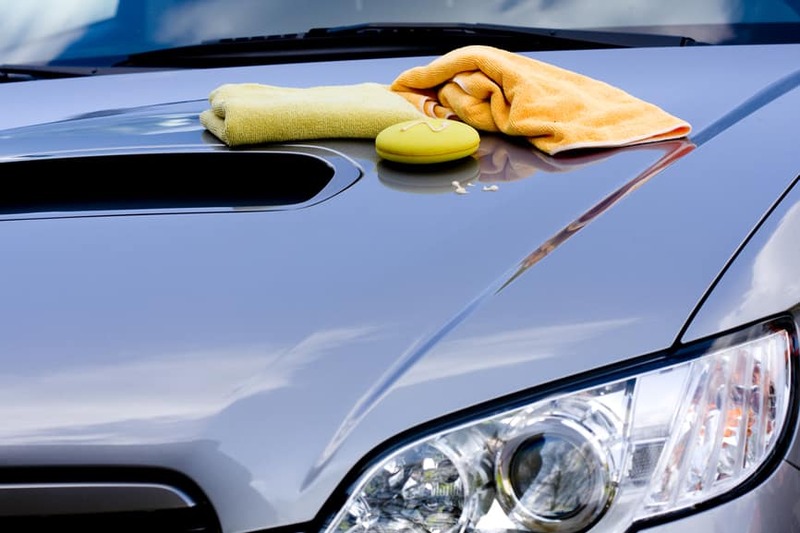 Take a little time during your next car wash to make sure you get rid of all the road crud, and put a fresh coat of wax on your vehicle to keep it protected. Get an idea of the condition of your alignment and suspension — You’ve hit enough potholes to know winter roads are unkind to vehicles. It’s a little hard to quickly check your alignment and suspension, so the next time you come in for an oil change, ask us to do it for you. Examine your wiper blades — Cold and icy winter conditions can cause your wiper blades to crack and tear. And when those spring rains start pouring down, you’re going to want to make sure your blades are in good working order. Check your tire pressure — Your tire pressure will decrease in the winter with the colder temps. In the spring, as the air warms up, it can push your tires’ pressure past the manufacturer’s specifications, and that can hinder your vehicle’s drivability as well as hurt your gas mileage. If you’re not comfortable checking and adjusting your tire pressure, our service department will take good care of you. Run your A/C — The first time you turn on your air conditioner, let it run for a while to get rid of any odd smells. If after 15 or so minutes of running it still smells strange, bring it in for a quick inspection. Belts, hoses, fluids, coolant … oh my — You’ll want to make sure that your belts and hoses didn’t become cracked during winter’s arctic temps. You’ll also want to check your coolant and top off your fluids to avoid overheating as the temperatures climb. Again, if you don’t feel comfortable popping the hood, we’ll be happy to help you out.